January, 2006 - by Terri Johnson, author of Homeschooling ABCs (www.homeschoolingabcs.com ) - dedicated to helping new homeschoolers gain the confidence and the necessary skills to successfully teach their children at home. Indeed, the holidays are over and now is the time to get back to normal schedules, schoolwork and activities. Some of you may use a gentle approach, easing your way into the normal routine. Others of you may jump in with gusto, feeling as though much time has been lost over the past month. I tend to jump back into the school routine with both feet on January 3rd, dragging my children with me. I must remind myself that no time has been lost - the children have learned, although not from a textbook. They have learned about family, traditions, and relationships. They have learned what it means to love and to give and to accept in return. They have learned patience and gratefulness. Let us not forget the lessons of December because of the rigors of January. 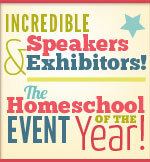 Slow down, take time and enjoy the homeschooling journey together. Perhaps the following article will give you some ideas for capturing and remembering these fleeting childhood days. Take a moment and think about all the school work and projects that you have completed with your children over this past year. . . in fact, over all the years that you have educated your children at home. Now think about how that work has been documented or displayed. If you are like me, you probably have a box or two of filled-in workbooks. There may be some satisfaction in a stack of completed workbooks, but apparently not too much, for when Grandma and Grandpa come for a visit to our house, it is not the workbooks that the kids dig out to show their accomplishments; it is their journals and notebooks, lapbooks and projects. These are the “books” that the children take pride in. Making books with children is an effective way to cement and document their learning. It also becomes an effortless review tool. Your children will want to go back and look through their books–by themselves, with each other, and, of course, with their favorite relatives. They will read again their entries, reinforcing this knowledge and shifting it into permanent storage banks in their brains. These facts will make it past the short term memory centers. In fact, this learning technique holds a great advantage over fill-in-the-blank workbooks for long-term learning and information retrieval. Home-made educational books fall into four basic categories–journal, notebook, lapbook and scrapbook. There are distinctions with each type, but there is some overlap between them as well. Any of these books can be made on a shoe-string budget, or they can be made quite expensively. They can be elaborate in their design or very simple. The key is that you stay within your budget and that you use your creativity and that of your children. Let’s look at a description of each type of book, what subjects it is ideally suited for, and a list of recommended materials to get started. 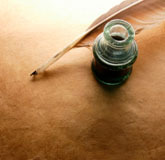 A journal holds the compilation of a child’s thoughts, reflections or research on a given subject. It is usually a blank book or spiral bound book that contains either lined or unlined paper. Generally, the child starts on page one and works his way through the book until the subject has been exhausted or he is ready to start on a new journal. A notebook is a collection of loose sheets containing various types of information assembled together to form a cohesive “story”. Generally, these are 3 ring notebooks with divider tabs to sort the subject matter that has been placed into it. A notebook can be filled with drawings, narrations, maps, reports, lists, timelines, etc. A lapbook, also known as a shutterbook, is a file folder which has been opened onto a flat surface. The two tabs are then folded into the center where they meet and form a window shutter effect. The concept is that mini books are attached to the inside holding various information which your child has collected and learned. A lapbook can contain games, vocabulary words, pictures, maps, recipes and clipart. You are limited only by your imagination. This is an excellent hands-on project for younger children. Scrapbooking has become a very popular hobby in recent years. There are scrapbooking stores, books and magazines popping up everywhere. Most people consider scrapbooking as mom’s creative outlet, but it can also be a wonderful educational tool. These are generally created in a pre-made scrapbook album which you can find at any arts and crafts or scrapbook store in your area. Older students, in particular, may get greatly excited about documenting their school work in a scrapbook format. This is a fun and sociable activity when all the supplies are pulled out and your children get to use their creativity. Here are a couple good articles to get you started. But be careful, you might get hooked! Creating books with children is an enjoyable process and gives everyone involved a sense of accomplishment. These are memory building activities and good motivators as well. My children are much more receptive and even enthused to complete their project or paper when they know that it is going into the notebook, lapbook or scrapbook. Their work is usually done more neatly as well. And for what more can a homeschooling mom ask? Terri Johnson, along with her husband Todd, has been teaching their children at home for 11 years. 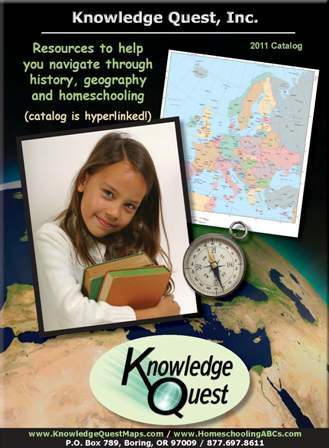 They also run a publishing company - Knowledge Quest, Inc. - producing history and geography materials for the homeschool marketplace. This past year, they have started two online classes - Homeschooling ABCs ( www.homeschoolingabcs.com) - dedicated to helping new homeschoolers gain the confidence and the necessary skills to successfully teach their children at home; and Upper Level Homeschool (www.upperlevelhomeschool.com) – encouraging and equipping homeschooling parents to stay the course even when their teen enter high school and to finish the race strong.